You enter an apartment building. gray water is a command line game. Currently, launching command line programs directly through the Itch.io application is only supported on Windows. For Linux, please follow Manual Install and Run: Linux instructions below. 1) Download and extract graywater-win.zip file to your preferred install directory. 2) Double click "graywater.exe" to run game. 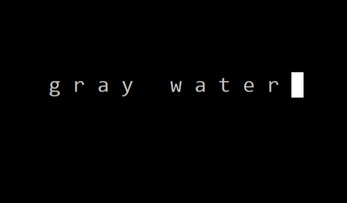 1) Download and extract graywater-linux.zip to your preferred install directory. 2) Double click "graywater" to run game. If prompted, choose "Run in terminal". Play game by typing commands and pressing enter to execute them. i.e: typing "quit" and pressing enter will quit the game.